Using heavy equipment to push aside debris and with helicopters circling overhead, rescuers in the Florida Panhandle searched for trapped residents as officials warned on Friday the death toll from Hurricane Michael was expected to rise. The U.S. death toll from Hurricane Michael rose to 16 on Friday, law enforcement officials said, as rescue crews began searching hardest-hit communities in the Florida Panhandle rendered nearly inaccessible by storm damage. The number of fatalities was expected to rise further as no deaths have been reported from oceanfront communities, such as Mexico Beach, Port St. Joe and Panama City, that bore the brunt of the storm's wrath. Rescuers have so far been unable to conduct thorough searches there. "I think you're going to see it climb," Brock Long, administrator of the Federal Emergency Management Agency (FEMA), said of the death count. "We still haven't gotten into some of the hardest-hit areas." 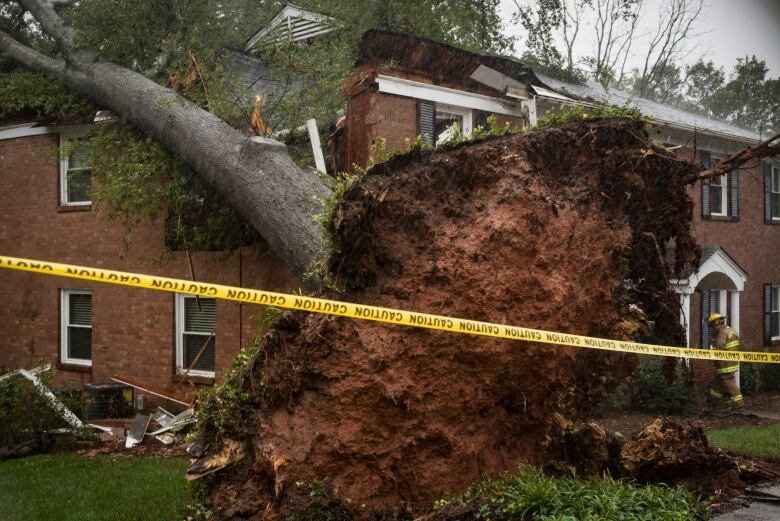 Authorities said the storm victims include a Virginia firefighter killed when a tractor-trailer slammed into his fire truck during heavy storm conditions, and an 11-year-old Georgia girl who died when Michael's winds picked up a carport and dropped it through the roof of her grandparents' home. 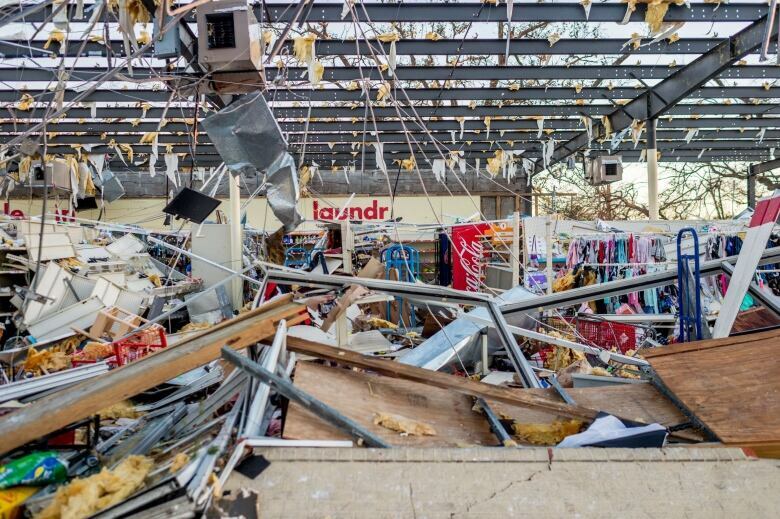 Michael struck Florida's northwest coast with particular force, with top sustained winds of 250 km/h, pushing a wall of seawater inland and causing widespread flooding. 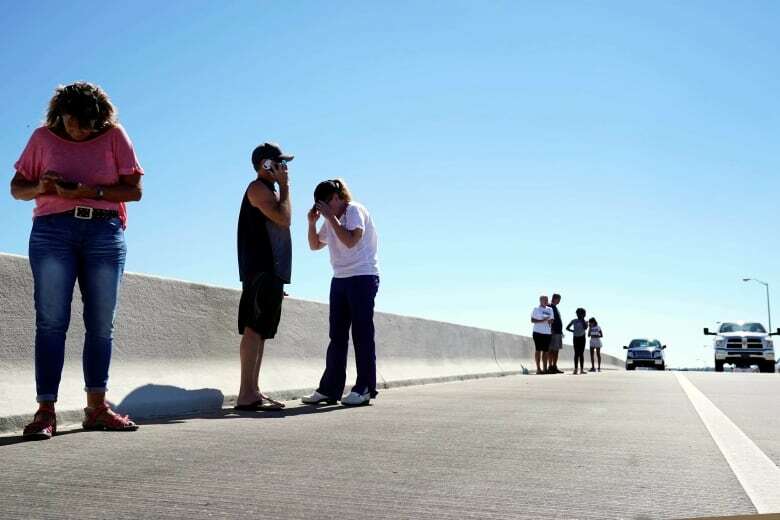 The storm tore entire neighbourhoods apart in Mexico Beach, Fla. Rescuers and residents were struggling to get into the town to assess the damage and search for the hundreds of people believed to have stayed behind. Emergency officials in Florida said they have received thousands of calls asking about missing people. But with cellphone service out across vast swaths of the Florida Panhandle, they said it is possible that some of those unaccounted for are safe and just haven't been able to contact friends or family to let them know. "We are not completely done. We are still getting down there," Scott said. President Donald Trump said Friday he would visit Florida and Georgia next week to asses the storm damage. 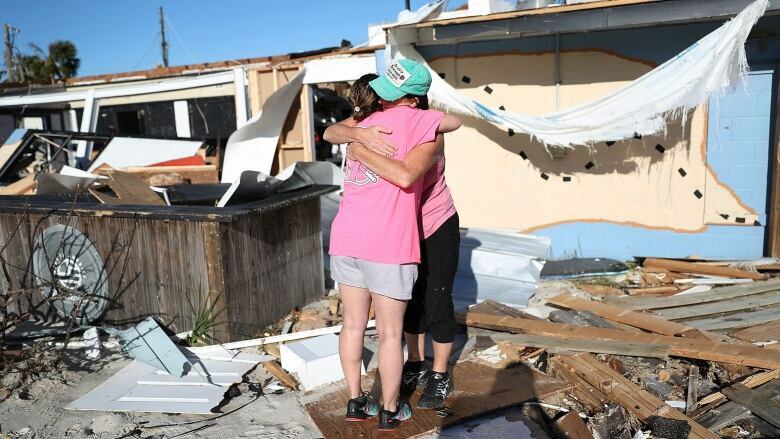 Linda Marquardt rode out Hurricane Michael with her husband at their home in Mexico Beach. When their house filled with surging ocean water, they fled upstairs. Now their home is full of mud and everywhere they look there's utter devastation in their Florida Panhandle community: fishing boats tossed like toys, roofs lifted off of buildings and pine trees snapped like matchsticks in the roaring winds. U.S. army personnel used heavy equipment to push a path through debris in Mexico Beach to allow rescuers through to search for trapped residents, survivors or casualties, as Blackhawk helicopters circled overhead. Rescuers from FEMA used dogs, drones and GPS in the search. Patterson estimated 1,000 homes were completely or partially destroyed in the town of 3,500 people. The commander of Tyndall Air Force Base said the "base took a beating" and will require "extensive cleanup and repairs." Videos of the damaged base show roofs ripped off hangars and a fighter jet on display toppled onto the ground. Col. Brian Laidlaw told the 3,600 airmen stationed at the base just east of Panama City that he won't ask them or their families to return until their safety is guaranteed. More than 1.5 million homes and businesses on the U.S. East Coast were still without power on Friday as a result of the storm. Southern Co's Gulf Power unit said it could take weeks to restore power in the hardest hit parts of Florida. All told, Michael caused around 2.5 million outages since making landfall.